Last year, Taylor Made Property Management Limited tested the crowdfunding waters. They applied for a loan of £103,500 on rebuildingsociety.com; a loan that was fully funded and successfully completed in January 2015. Now, they’re back; this time with a loan application seeking £125,000. The company is the first to make the most of the new changes to the marketplace that we recently introduced, regarding security-dependent interest rate reduction. Taylor Made Property Management Limited was incorporated in October 2014 with the express purpose of taking over the Preston-based Martin & Co. franchise. This purchase was successful, and the company began trading a few months later. The funds the company raised through their first crowdfunding efforts in early 2015 were used as planned; to purchase the existing residential letting agent, Woodholme Residential Lettings Limited. The purchase was successful completed on 28th February 2015, just over a month after the loan completed on rebuildingsociety.com. 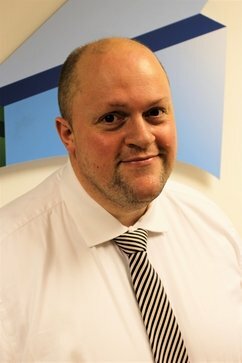 Richard Taylor has extensive knowledge of the property industry, both in terms of running his business, and as a landlord. We spoke to him about the company’s recent history, their future plans, and the appeal of crowdfunding. Richard, thank you for talking to us today. Tell us, what made you come back to rebuildingsociety, rather than seeking additional funding elsewhere? The more traditional funding sources make it so difficult to refinance or even borrow as a business that the obvious choice when looking at refinancing was to come back and see what could be done through rebuildingsociety.com, who I have a track record and history with. I knew that my application would be judged on actual business viability, which I would have the ability to discuss with someone, rather than on a set of rules and criteria that a computer processes and rejects with no human interaction. Is this interaction something you experienced during your first crowdfunding experience with us? Yes; and I think the opportunity to communicate directly with lenders is a definite plus. It’s a great way for those who struggle to get more ‘traditional’ sources of funding to begin or progress their business ideas. How has your company progressed since you completed the loan in early 2015, nearly two years ago now? It’s been an interesting two years. Regarding the business I acquired, there was a lot that needed to change to bring it up to speed with the industry, and embrace some of the technological changes that would enhance the service offered to tenants, landlords and vendors. This led to changes in personnel, and so much of the first year was taken up with simply steadying the ship and implementing correct procedure, all of which I am pleased to say were well received. We did not lose any landlords or properties; in fact, we added over 20 properties to our fully-managed portfolio. The second year has been about building on that success, and we now have a steady, reliable team who are on board with the direction in which the business is going. This is great, because it has allowed me to take a more holistic approach to the development of the company, and to look at areas of potential growth and diversification. What have been some of these areas of potential growth? Well, for example, we have had particular success in the vibrant student market in Preston. We now have about 270 rooms available for the 2017/18 academic year, which includes 244 rooms in new, purpose-built, private student halls, which we are the only agent in Preston to be marketing. We have also been working with a number of developers, both locally and nationally, who have seen the potential in Preston and are looking to convert and build residential properties for both the sales and rental markets. You are currently seeking £125,000 of funding through rebuildingsociety.com. If the loan is fully funded, what will you use the money for? A large part of it, £75k, will be used to pay off the existing loan with rebuildingsociety. The remaining £50k will be used to fund a strong marketing campaign for the next 12 months, to help us increase our market share in the sales market, as well as reach some other key business development objectives and provide some stability in terms of cash flow. We recently introduced some changes regarding security-dependent interest rate reductions, and you are the first company to benefit from these changes. What are your views on these improvements? This is something that has definitely benefited me in applying for this loan. I think the improvements are a plus for both parties, as it encourages the borrower to provide better levels of security which can help reassure lenders that the security offered can genuinely repay the loan should the worst happen. Why should lenders consider lending to your business? I have an excellent track record of repayment, which will obviously continue with the new loan. There are a number of challenges facing the housing market at the moment; I believe that we have a good, strong business model with a clear vision of the areas of development and improvements needed to ensure that we can continue in spite of these changes. With this in mind, what do you hope the future holds for Taylor Made Property Management? Further growth of the franchise, both within the current geographical area and then potentially expanding to surrounding areas, as well as diversification into property development. You can find Taylor Made Property Management’s loan profile here.